The next upcoming Martin Luther King Day is on Monday January 20th, 2020. 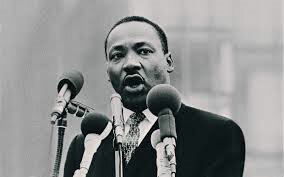 Martin Luther King Day is observed in January on the third Monday which is close to King's birthday of January 15. Martin Luther King, Jr was known for his influential role in civil rights and racial equality. It is a federal United States holiday. The holiday was first observed in 1983 after President Ronald Reagan signed it into law three years prior. By the year 2000, all fifty states officially observed this day. Some government offices, schools, and businesses will close to observe the holiday. Back in 1948, National Freedom Day was signed into law by President Truman as a national observance recognizing the outlaw of slavery enacted earlier during 1865 under President Lincoln. Celebrations of Martin Luther King, Jr's achievements might include teaching students the life of Martin Luther King, Jr. and his dedication to civil rights as a chief spokesman for nonviolent activism to end racial segregation on public transportation as well as racial discrimination in state and federal law. It is a day focusing on equal rights of all people regardless of their background. It is combined with other holidays in some states such as the Human Rights Day in Idaho and Civil Rights Day in Arizona. Martin Luther King, Jr. was a leader of civil rights to end segregation in the United States. He advocated a non-violent approach. He is famous for his speech, "I Have A Dream." He was assassinated in 1968. His holiday was first influenced by labor unions. It became law by 1983 after musician Stevie Wonder released "Happy Birthday" single in 1980 to spread the campaign and hosted in 1981 the Rally for Peace Press Conference. Signatures of six million were collected to petition Congress to pass the law.